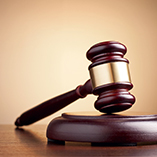 Our collective and extensive experience in commercial litigation has made it our primary focus at Pisanelli Bice. 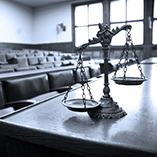 Our professional aptitude, abilities and reputation have placed us among the most highly sought after litigators in Nevada. Fortune 500 companies, entrepreneurs, media outlets, various governmental bodies, and many of Nevada’s largest gaming companies have chosen us to represent them in federal and state courts, testifying to our expertise and acumen in the courtroom. For our diverse and prestigious clientele, we handle a broad range of matters, spanning from complex business disputes involving breach of contract, fraud, partnership and mergers, to the specialized areas of defamation, civil rights, election law, health care, construction and class actions. Southern Nevada’s unique business environment requires us to adapt and excel in all forms of hotel and gaming litigation. We are known for our extensive experience and sophisticated understanding of the gaming industry and its guiding laws and regulations. We have been entrusted by several of Nevada’s largest gaming companies in corporate governance contests, commercial litigation, and gaming disputes, and have represented the Las Vegas Convention & Visitors Authority and the Nevada Resort Association in legislative, election, and constitutional matters. 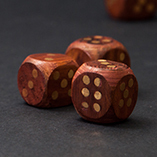 Our historical and comprehensive knowledge of the gaming industry allows us to quickly identify and grasp industry nuances so to aid our clients in the most effective and efficient manner. Our clients’ success in appellate matters is dependent upon our litigation team’s ability to utilize effective trial and appellate approaches. Each client’s best interest is of the utmost importance, and every client is briefed with a thorough explanation of the appellate process and realistic expectations of their upcoming appeal beforehand. Our cogent, effectual briefs and oral arguments lead our clients to use our services for both the initial litigation and subsequent appeal. Our appellate team, led by Todd Bice, has successfully argued appeals before the Nevada Supreme Court and the United States Court of Appeals for the Ninth Circuit. Our experience and knowledge allow us to advise and guide our clients up through and during the appeals process. The economic downturn hit Southern Nevada’s construction industry as hard as any across the country. Because of the strong reputation of Pisanelli Bice’s construction litigation team, we have been engaged by both local and national developers to protect their interests in highly complex litigation over several of Southern Nevada’s master planned community developments. In the demanding reality of the construction business, disputes significantly affect the cost of building projects and jeopardize essential business relations. 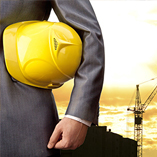 Our knowledge and expertise allows us to manage and solve the diverse legal difficulties of the construction industry, while preserving our clients’ business interests and connections. We provide both litigation and commercial transaction services for local, national, and international contractors, designers, and developers, and represent major hotel properties, institutional home builders and commercial developers. Our construction and litigation expertise and in-depth experience ensures our clients receive the effective representation they require. The niceties of constitutional, political, and election matters require advocates with in depth experience and aptitude. We have represented a broad spectrum of clients including municipalities, public agencies, policy-making organizations, large corporations, and private individuals on matters of important and high-profile constitutional and election law. 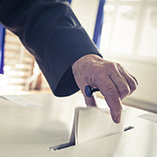 We advise and lead our clients on legislative, election, and ballot initiative matters, and have represented governmental entities in civil rights, election, and constitutional cases. Today’s tumultuous political and economic climate has significantly affected the regulations and policies of the health care industry. 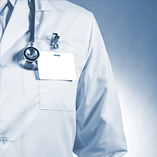 The intricacies of health care law require a highly knowledgeable litigation team, able to adapt and prepare for each client’s unique case. Our approach emphasizes both the complexity and sensitivity of litigation in this field, resulting in the best outcomes for our clients. We apply our skills and understanding to all aspects of state and federal health care disputes, including cases involving regulatory matters, professional licensure and discipline, managed care litigation, subrogation rights, and labor and employment matters.